Are you looking to get your kid a truly unique toy? Have you heard of a “Hatchimal”? If you are scratching your head and wondering what that is, then join the rest of the non-Hatchimal world. Hatchimals have swiftly become the must-have toys of 2017. Go get a Hatchimal today, that is if you can still find one in stores! Hatchimals sneaked into stores just before last year’s Christmas holidays. They became a major craze and sold out in double quick time. A Hatchimal is a small creature which literally hatches out of an egg. Hence the term Hatch-imal. Hatchimals come in different shapes and sizes, but there are two broad varieties: Pengulas and Draggles. The Pengulas look like penguins, and the Draggles are dragon-like, having antenna and horns. Hatchimals go through 5 stages of life: egg, hatching, baby Hatchimal, toddler Hatchimal and kid Hatchimal. You can liken a Hatchimal to a robot pet, and it actually starts walking, talking and playing games during its life. Sounds cute, doesn’t it? If you get one for your kid, you can be rest assured that all other toys will lie unused! A unique feature about this toy is that its eyes change color to denote what it is feeling at that point. Their eyes go purple if they are hungry, orange if they need to burp and red if they are mad. Your kid won’t be able to stay away from petting it, teaching it how to talk and feed it as well. What Makes Hatchimals a Unique Toy? 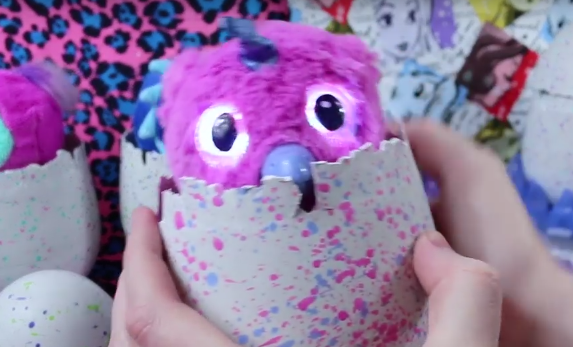 Hatchimals are truly unique, especially since there has been nothing similar to this concept before. The closest to it was a toy called the Tamagotchi back in the late 1990s to early 2000s. That was a digital pet which hatched out of an egg that kids had to take care of. However, the difference between the two is that a Tamagotchi was a virtual toy which lived in an egg-shaped digital device, whereas a Hatchimal is an actual walking, talking, eating and even burping toy! Hatchimals resemble a fur ball and are an instant hit for kids aged 5 and more (at times even for younger kids!). No other toy has actually come up with a combination of sheer cuteness intermingled with robot-like features. A Hatchimal can learn to do things. You might wonder whether there is artificial intelligence lurking in these furry creatures. Kids love them, and those kids who were lucky to get them for Christmas can’t keep away from them even now. It’s a truly interactive toy without needing any sort of an app or a remote controller to operate it. Just imagine, your kid can watch his or her own Hatchimal progress through different stages of life over a couple of weeks. As the Hatchimal grows, it will learn new things. Your kid can teach it how to dance, repeat words and even move when your kid claps his or her hands. If your child gets bored of the kid Hatchimal stage, you can press a reset button to turn it back into a baby! What Are Hatchimals made of? The eggs are the size of a football. They are made from a hard material which is like plastic. The Hatchimals themselves are furry little creatures. Their external material is furry in nature and is very similar to the soft fur on teddy bears. Soft to the touch, they are perfect for young kids. Hatchimals have a metal interior along with plastic parts which house the electronic components. They have soft fur on the outside. They come in various colors and in fact, until the egg hatches, you won’t even know what color your Hatchimal is. When Hatchimals were released before Christmas, they sold out fast! But, now you might be lucky to find one at large stores such as Toys R Us, Spin Master, Walmart, Kmart, Target, and Amazon. 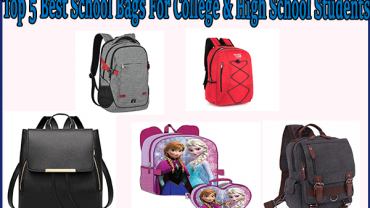 Search for them on the internet, and you should be able to pick one up at online outlets of these stores. In case they are not in stock, you can try picking one up from eBay. But, if you do so, then be prepared to pay more! a) How can you tell what stage your Hatchimal is in? The 1st stage is the Egg stage. Then comes the 2nd stage or the Hatching stage. After it hatches, our Hatchimal will be in either of the Baby Stage, Toddler Stage or Kid Stage. To find out what stage it is in, press your Hatchimal’s belly and check out its eye color. A yellow eye color denotes the Baby stage. Purple eye color denotes the Toddler stage. Red eye color denotes the Kid stage. b) How long will your Hatchimal take to hatch? A Hatchimal may take up to 20-25 minutes to start hatching. The actual hatching process may take up to 40 minutes. Help your Hatchimal to break out of the egg by breaking off any remaining egg parts and removing the top from the egg. c) Can you make your Hatchimal hatch again? Hatchimals hatch only once. Do not try to put it back in its egg as that may damage your Hatchimal. Dispose of the remnants of the egg as soon as possible. d) Will your Hatchimal hatch in your absence? Your Hatchimal will not be able to hatch without you. To begin the hatching process, you should be holding the egg and rub its bottom. e) What can you do with your Hatchimal after it has hatched? f) Can your Hatchimal stay in the baby stage forever? If you press a small reset button, at the bottom of your Hatchimal, using a paper clip, you can reset it to the baby stage. g) How should you clean your Hatchimal? Never dip your Hatchimal in water as that can damage its electronic components. Use a damp cloth to clean your Hatchimal’s fur if it becomes dirty. We’re is the reset button on a zuffin hatchback twin and how do I reset it?? ?